The Nissan Qashqai is the fourth-best-selling car in the UK in 2017, up from fifth in 2016 - and, most importantly, it’s the UK's best-selling mid-sized SUV. Needless to say, it's also Nissan's best-seller. So successful is the Qashqai’s recipe that even the Volkswagen Golf has sold only 36,703 to the Qashqai’s 33,574 so far in 2017. 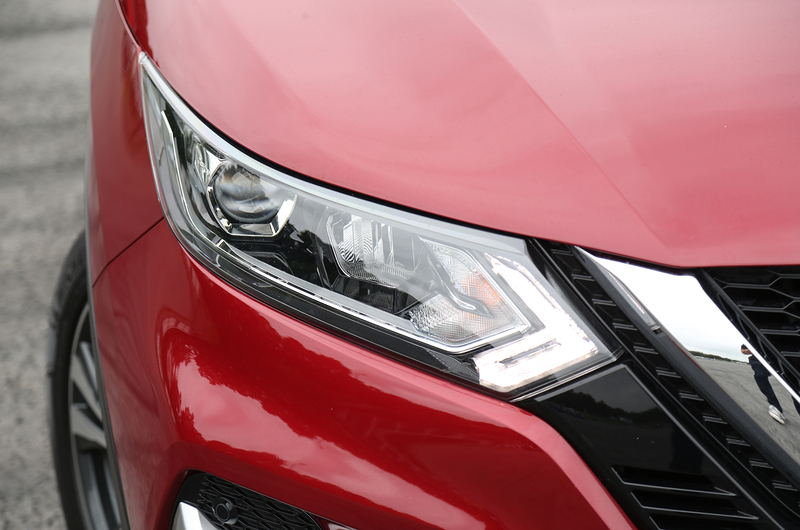 So how has a major facelift, both inside and out, helped the Qashqai’s case against an ever-growing number of rivals with an ever-growing list of talents to match? The mid-range N-Connecta model with the 109bhp 1.5 dCi engine we're driving here will be the best-selling across the range, sitting two trim levels below the semi-premium Tekna+ and two above the entry-level Acenta. It occupies the £23,000-£28,000 price point, depending on engines. Nissan claims 99g/km and 74.3mpg for this particular set-up, so running costs are mooted to be around the lowest in the segment. It’s easy to see why the Qashqai sells so well, and there’s no question that this facelifted version will continue to do so. A light exterior styling refresh has only made the Qashqai look more modern and stand out more from the crowd. 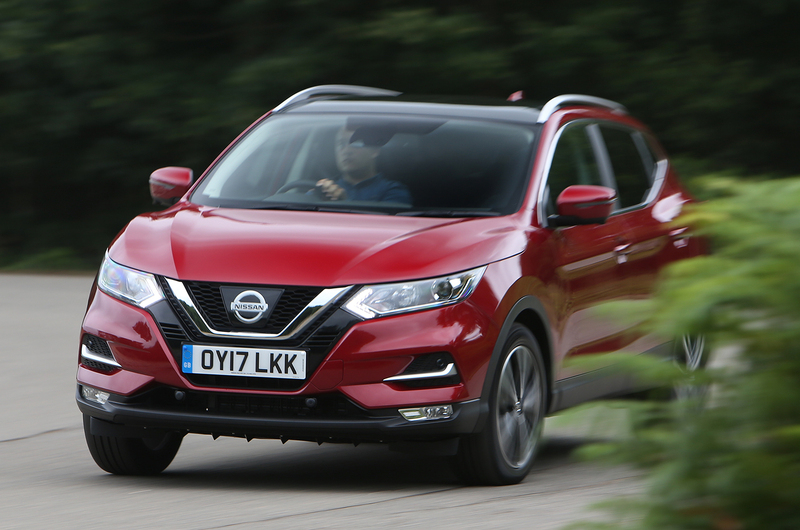 Nissan claims that a lot of work has been put into making the Qashqai quieter on the move. Efforts include a thicker rear window and a more refined engine. It shows; at certain speeds, the engine is barely audible, and remains fairly quiet at motorway speeds. There is little noticeable road or wind noise at anything but motorway speeds, aided by the Vortex Generators (just visible underneath the front bumper), which smooth the airflow underneath the car; this is usually a prominent source of wind roar. The dCi 110, which is the entry-level diesel engine, has been tweaked to offer a smoother power delivery. Although more refined, it remains a little underpowered in overtaking situations - you’ll need a gearchange or two to prompt real oomph out of it. Still, Nissan’s tweaks also mean that there’s little to no vibration through the steering wheel from the engine, while the steering is sharp and as precise as you’d hope for in a car of the Qashqai’s heft. 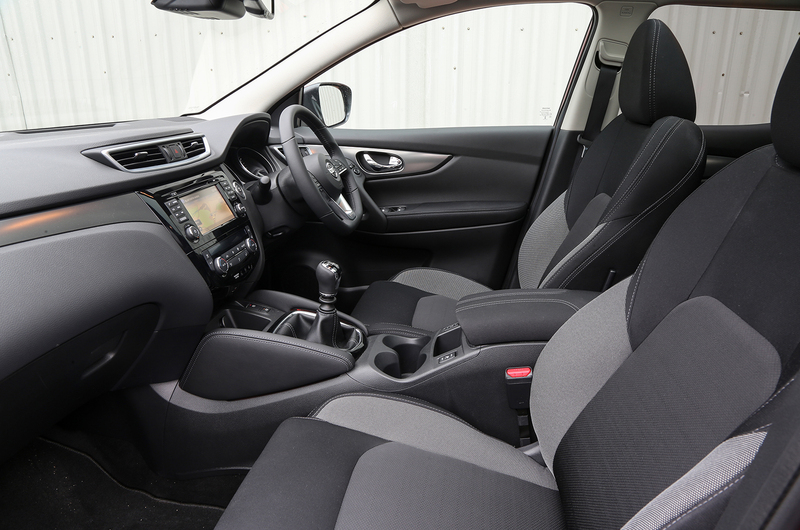 The most notable quibble is the steering’s adaptation to different driving styles; at low speed, it’s a bit too light and makes the car feel less poised and controlled than it deserves, although it does make tight urban car parks easier this way. 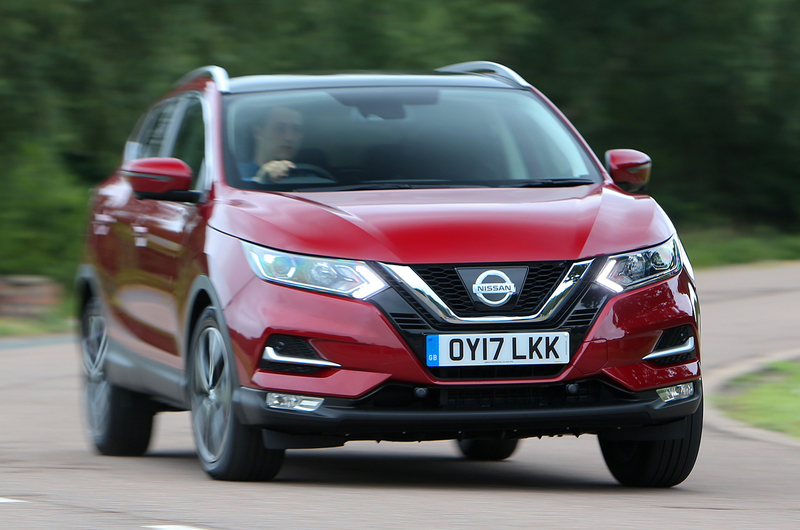 At other speeds, though, it’s inoffensive in the absolute, and Nissan has tweaked the weighting to be heavier around the centre for a greater sense of control. You can feel the effect of this. You’ll also feel the effect of changing the car’s steering mode from Normal to Sport. Both settings are usable enough, although a slightly heavier steering mode does not a sports car make, nor even a sporty SUV. For the first part, a sportier SUV wouldn’t return a claimed 74.3mpg as the Qashqai does - albeit about 10mpg less than this realistically, according to the readout on the car’s trip computer. Under the skin, the Qashqai now has a stiffer anti-roll bar, despite being softer in its shocks and dampers. It takes a few well-placed bumps at high speed, or a particularly mottled road at lower speeds, to cause any moderate disturbance. The Qashqai’s handling betrays its lofty driving position, always feeling stable and planted, but around faster corners, there’s no escaping a bit of body roll. When that roll happens, try not to lean your knees to either side; the plastics around this lower, less touched part of the dashboard are clearly cheaper and, as a result, a bit bendy, especially on the lower door pocket. Elsewhere, though, they’re on par with the rest of the class, being mixed between decorative materials like gloss black or silver, and functional but higher-quality plastics than those on the lower areas. Other interior niggles include a phone connection system that could be a bit more intuitive and a slightly dim trip computer screen between the instrument dials. 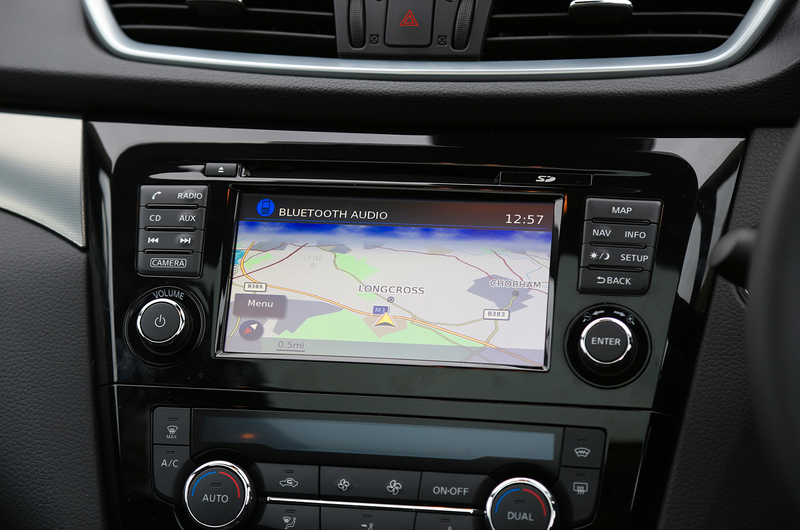 The lack of Android Auto and Apple CarPlay smartphone mirroring isn’t ideal, either. Chances are, if you’re buying a Qashqai, this model will probably be the one you go for. Company-car drivers will love the 99g/km CO2 and low fuel consumption - no matter what the alloy wheel size - and private buyers will go for its sheer do-it-all talent spectrum and family-friendliness. 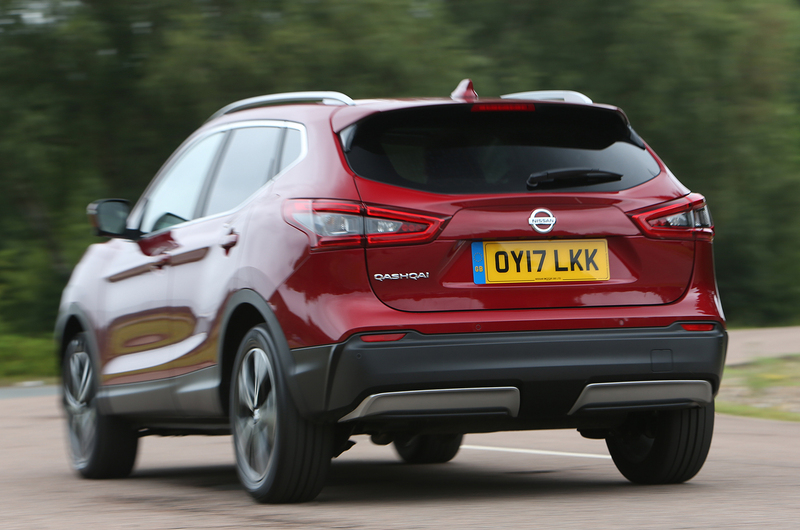 Equilibrium should continue as the Qashqai is set to sit steadfast on its throne as the benevolent king of SUV sales. Nissan expects about half of buyers to go for this spec, with 60% of Qashqai customers overall opting for diesels. The 30% who go for a diesel automatic will also be able to opt for Nissan’s semi-autonomous ProPilot system, although that’s not standard until the much higher-spec Tekna+, which is not available until the autumn and costs extra. The 1.5 dCi seems to blend a fairly expected level of equipment with solid build quality, remarkable refinement and a competitive price. Little wonder that it will be so popular. Those after more vigour should go for the 1.6-litre dCi 130. In 110 spec, the Qashqai is out-accelerated by the Dacia Sandero with the 90bhp version of this engine. Behind the soft edges and comfortable suspension, though, lies a ferocious ambition from Nissan to impress customers away from the much-lauded Seat Ateca, the name of which has become almost impossible to say without a “the Nissan Qashqai-beating” prefix. If they’ve not done it, it’s jolly close. For a 2wd manual with 109bhp it's a bit of a porker at over 1500kg. I know it's for technical reasons, but the badge in the grille looks depressingly cheap. Surely they could have found a way around it. Also, i really don't think the facelift improved the looks. It went from plain/handsome to plain/wow-that's-a-complicated-front-end. The N-Connecta sits two levels above the Visia, which is entry level. N-Connecta is the sweet spot in the range, and they'd sell even more with a decent-sized boot. Seems like a well rounded car, though a stronger petrol range would be welcome. The biggest issue, and what puts me off considering one is reliability. There are a lot of reports of problems; not what you expect from a Japanese manufacturer. "Rivals Seat Ateca, Toyota CH-R, Ford Kuga" That's a list that spans B-segment X-over (CH-R) and C/D segment with the Kuga. I would imagine the CH-R buyer would be looking at a Juke rather than this...even though it's pricier. And no mention of Kadjar / 3008? Weird. Just makes the Nissan look a bit left behind, Nissan are great at gadgets but those old Renault engines are quickly becoming uncompetitive. They tend to offer fleet buyers some massive discount incentives to make up for the drivers tax bills with low lease costs. There are also rumours that Fiat have been less than truthful about their emmisions as well, but never mind, I suppose that stops them from being left behind or uncompetitive.